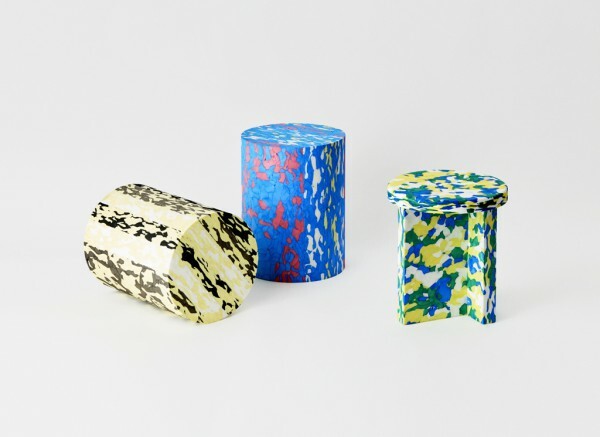 We collaborated with a material manufacturer to develop a product for a special exhibition sponsored by Material ConneXion Tokyo. 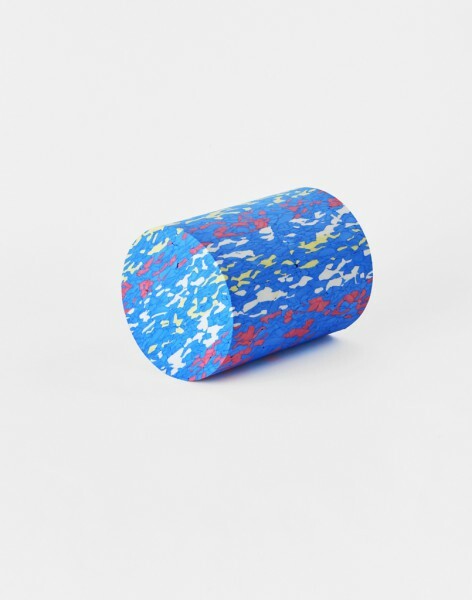 We devised a product that takes advantage of the properties of polyethylene foam, a material notably used in kickboards and packaging materials. 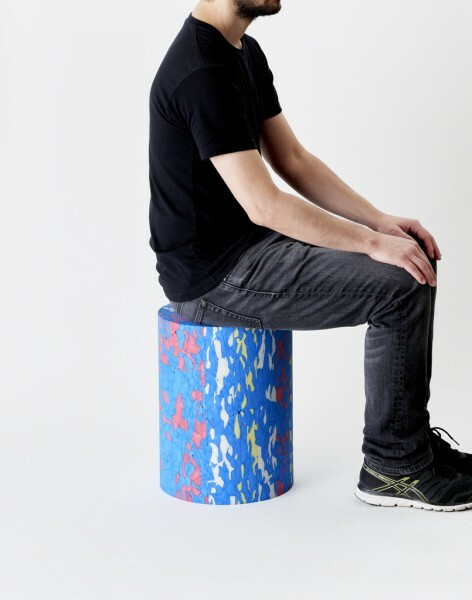 Polymock can be formed by molding and processing polyethylene foam. 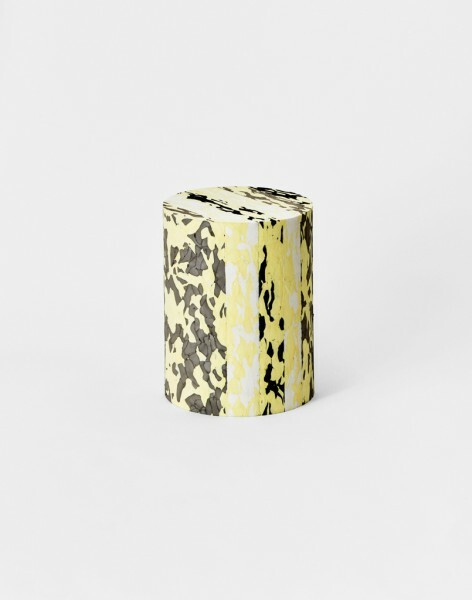 The recycled material is obtained by the compression molding of wastes and produces unique results each time. 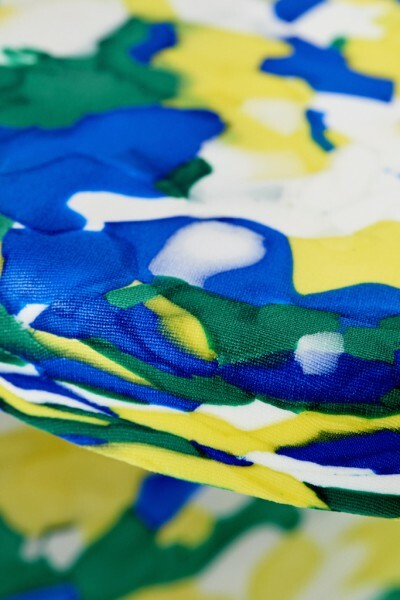 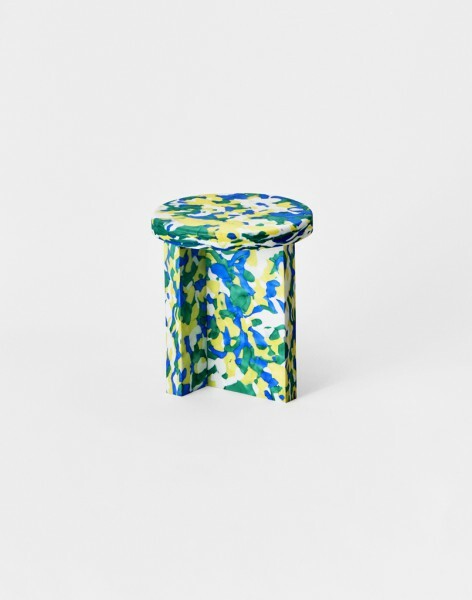 We created a colorful camouflage Polymock pattern and made full use of the material's coloring properties by hot pressing it into two types of small colorful stools. 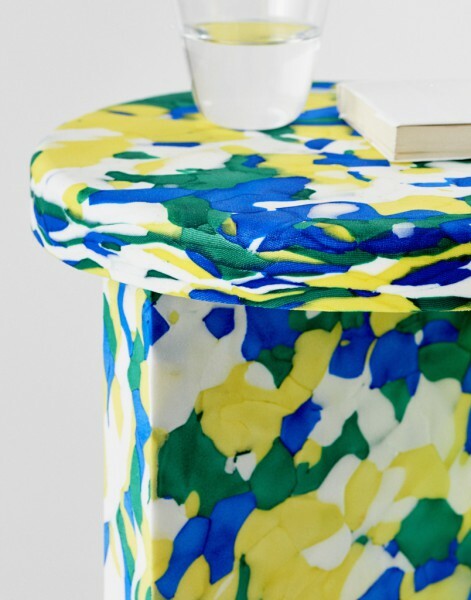 One is a stool with a rounded seating surface, the hardness of which is increased by hot pressing and features good coloring properties. 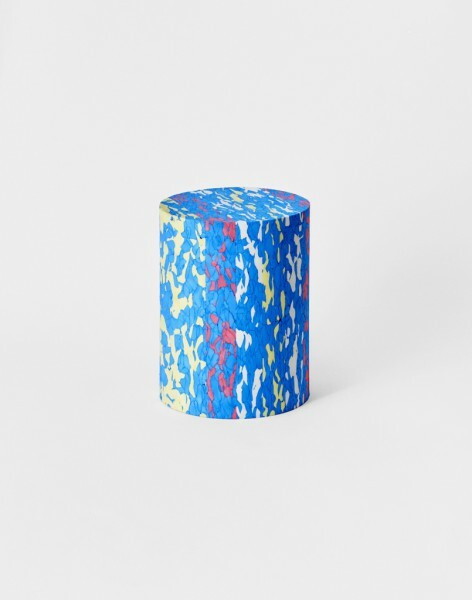 The other is a stool obtained by crimping 50 mm thick pieces of Polymock material into a mass from which a cylindrical shape is cut to reveal expressive cross-sections. 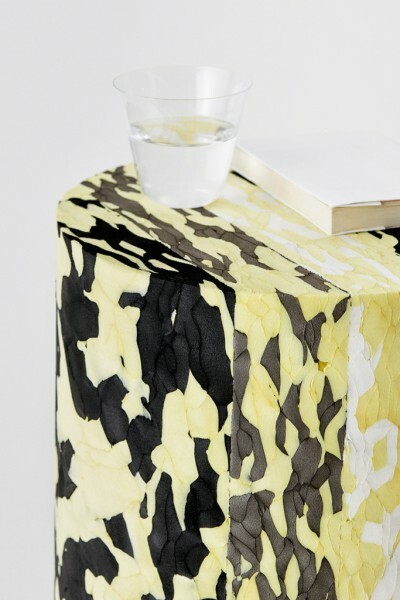 We aimed to create a product that inspires the developmental use of the material itself, incorporating its physical properties and the originality of its production process.